Christopher Dring is a senior editor at GamesIndustry.biz. 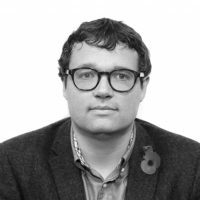 He joined the website in 2016 after almost a decade at UK industry publication MCV, where he was the title’s editor. He has also contributed to The Observer, Sky, BBC, eSports Pro, Develop and once wrote all the questions for a 2007 Family Fortunes mobile game dedicated to Christmas… that was a long week.